We can advise and undertake installations at all levels, through the use of our partners in the pro audio industry from a pub speaker system through to football stadiums. Please get in touch and we will get a suitably trained expert to get in touch with you to discuss. We have managed to provide cost effective solutions to several London pubs by using Dbx Zonepro and Ecler control units. These allow us to create a system set up that is simple to use and gives you an optimised audio quality which is fairly tamper proof. Secondly we can carry out speaker upgrades that are suited to your venue requirements. We will not carry out or recommend work that is not necessary or likely to make a noticeable improvement. Noise abatement issue? We can carry out work to specifications provided by an acoustician if needed. For legal reasons you should employ a reputable acoustician if you are in a dispute over noise. In 2018 we completed the installation of 23 speakers with custom ceiling suspension to help resolve a complaint to a business needing moderately loud music under a flat. In any case, your cabling will be left labelled so that future issues are dealt with more cost effectively. 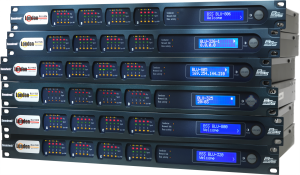 We are trained in using BSS Audio Architect and associated hardware. Rates for this kind of work can vary greatly depending on the complexity of the task.